Dr J and his staff will take care of your family from young to old. We understand the ailments of cancer, scarring, wounds, burns and beauty! Our mission is to heal you, restore you, make your life better. Everyone here is kind, helpful, compassionate and really quite good at our work. Whether it's getting you back to normal, or to your ideal self. From breast cancer reconstruction to breast augmentation, our team emphasizes the importance of healing both physical and emotional wounds, and restoring you to either your original self, or the self you aspire to be. True restoration after skin cancer, moles and melanoma. Dr J is known for taking on patients with extremely complex and unusual cases which other doctors are simply unwilling or unequipped to manage. From skin cancer to mole removal, our top priority is restoring your physical and emotional well-being after a serious trauma. Dr J is known for mending the most challenging ailments and imperfections of the body. From skin grafting, to burn therapy, to tummy tucks — we provide compassionate care designed to correct both trauma and natural imperfections on the body. Our team thrives on repairing and restoring the human body, no matter how complex the case. Our cosmetic procedures are designed to change both you, and your state of mind. In addition to fixing the toughest challenges on the skin and the body, Dr J also manifests his skills and expertise through stunning cosmetic surgery that changes not only your physical imperfections, but your confidence and self-esteem, too. Read over 700 reviews from Dr. Jacobsen’s patients and find out why they say he is one of the finest, caring plastic surgeons Phoenix & Scottsdale has to offer! Dr. Jacobsen and his staff are conscious that it is a great leap of faith to trust a surgeon with any part of your body and your life. When you consult with Dr. Jacobsen you will see that his office environment is peaceful, comfortable, and will give you a sense of confidence and support through the caring you will find from his staff and from Dr. Jacobsen himself. Dr. Jacobsen and his staff will give you a sense of confidence, competence and trust. If your problem is difficult or have had a poor or failed surgery elsewhere and are looking for corrective plastic surgery in Phoenix, you will likely feel very comfortable here with Dr. Jacobsen, his staff and the facilities and other medical personnel he works with. Dr. Jacobsen has performed reconstructive and cosmetic surgery in Phoenix for many years and feels deeply appreciative and respectful of every patient that comes to him. As Dr. Jacobsen has offered reconstructive or cosmetic surgery in Phoenix for many years he understands both the emotional and physical journey of plastic surgery. That’s why he believes that the journey begins far before the actual procedure and continues in the form of compassionate post-operative care, seven days a week. Whether you’re searching for a surgeon who can help you restore your body, or simply one of the best cosmetic surgeon Phoenix has to offer, Dr. Jacobsen is a national leader in testimonials across Google, Vitals and Healthgrades. If a patient wants something done, Dr. Jacobsen rarely says no and will do his best to accommodate them. Explore the hundreds of reviews for Dr. Jacobsen below and see why patients near and far love, are happy with, and trust Dr. Jacobsen. Dr. Jacobsen tries to be the best plastic surgeon in Phoenix he can be. If you are not sure about whether or not you can be helped or would like to learn more about your options, send us your questions no matter where you are – you may even include a photograph if you would like for additional clarity. If you have undergone failed surgery before and are looking into corrective plastic surgery in Phoenix, pictures are the only way to properly communicate the issue. Dr Js office has received inquiries from people all across the world that have been concerned about various problems they are experiencing. We cannot give formal advice over the internet but we can certainly give you some basic understanding of whether or not we can help. Talking and meeting with Dr. Jacobsen will be a benefit for you even if you do not decide to schedule surgery as you will have a great deal more information to make decisions about your body and life. We are always happy to talk with you and to consult with you. Talking is never harmful or a waste of time as it always results in better knowledge and better decision making for you. Generally speaking, there is no charge to come and speak with us about cosmetic surgery. We keep all your information exceptionally secure and private. Dr. Jacobsen is available seven days a week to care for you during and after your surgery on Sundays and holidays. We have a continuous online presence and can communicate with you whenever you have an issue or a problem or question. Please feel free to send us a photograph or question any time at either www.sendasecurephoto.com or www.sendasecurefile.com and we will discretely respond to your inquiry with the utmost respect and privacy. Read over 700 reviews from Dr. Jacobsen’s Patients and find out why they say he is the best plastic surgeon Phoenix has to offer! Dr. Jacobsen understands both the emotional and physical journey of plastic surgery. That’s why he believes that the journey begins far before the actual procedure, and continues on in the form of compassionate post-operative care, seven days a week. Whether you’re searching for a surgeon who can help you restore your body, or simply the best cosmetic surgeon Phoenix has, Dr. Jacobsen is a national leader in testimonials across Google, Vitals and Healthgrades. Explore hundreds of reviews for Dr. Jacobsen below and see why patients across America love and trust his work. Dr J is taking on the toughest challenges in restorative plastic surgery, helping thousands of patients. Our staff feel it is very much a privilege to take care of a woman and make her body beautiful for her. We know that cosmetic surgery done well means a great deal to women and their families. We are honored and pleased with each and every individual that comes to our office and entrusts their surgical care to us. We believe that through excellent practice, care, communication, and service to you and your family, your experience will be truly exceptional – and most importantly – the results of your enhancement will exceed your expectations. Our goal is to heal you, cure you, and improve your life. From the compassionate manner we treat our cancer patients with, to the highly complex and unorthodox medical problems we solve, our patients are a part of our professional family. Our relationship with our patients is for life, and Dr J is committed to providing a rejuvinating, compassionate environment. 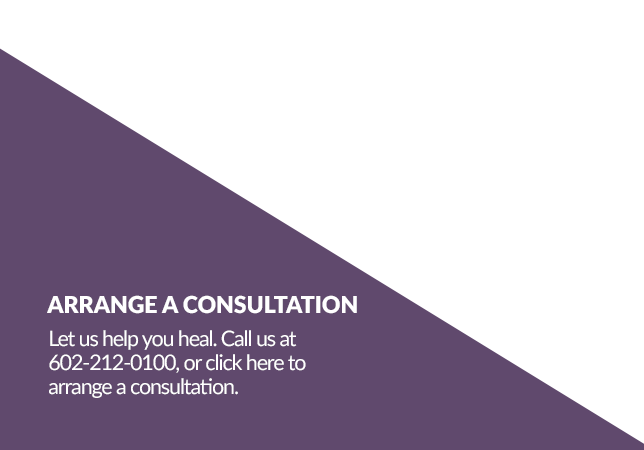 Request a consultation today to start your healing, repair or rejuvenation with Dr. William Jacobsen.